You may own one of the best newly released smartphones out there, but what good is it if its power can’t last for a day? 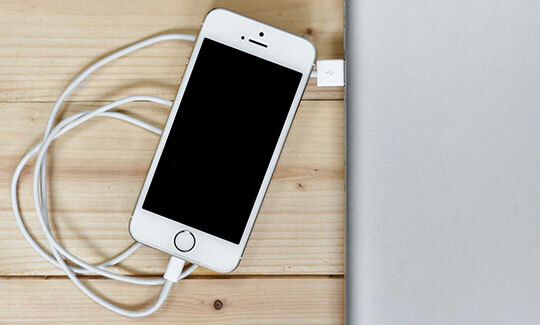 How can you keep your mobile device juiced up if you’re always on the go, and a power socket is nowhere in sight? Thanks to innovations in wireless charging technology, we might eventually bid the mad hunt for power outlets (and the untidy charging cables) goodbye. However, not all wireless charging products are created equal. Some are portable; others are bulky. Some are safe; others are not. Some can charge faster; others are slower. The key to finding the best charger is to search for one that suits your lifestyle—whether you’re a busy executive, a constant traveler, or an avid gamer. Weighing only 3.2 ounces and measuring 3.1 x 1.2 x 2 inches, this lightweight, and compact device is perfect for charging smartphones on the go because it’s easy to carry and use. Aside from portability, another remarkable feature of this wireless charger is its Intelligent Induction technology that prevents overcharging by automatically switching the device to standby mode when it’s fully charged. Convenience is a standard benefit among many wireless charging products today, but the Latitude takes it up a notch. 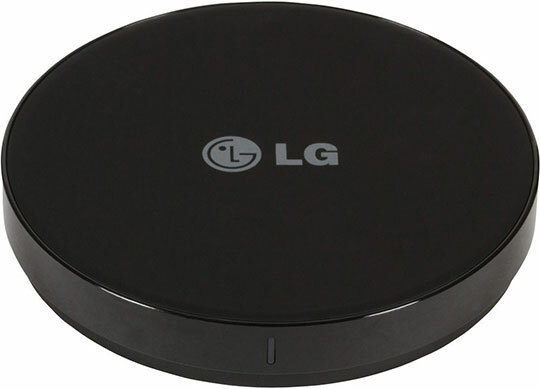 For one, it offers the best of both worlds, as it supports the two largest wireless charging standards: Qi and PMA. It also allows users to charge their iPhones in Starbucks and other public places that have wireless charging pads. Another feature that’s unique to the Latitude is its smart design: this charging case doesn’t block the headphone jack and speaker, so it doesn’t get in the way of listening to music. It’s sleek, and fashionable design yet lightweight and durable construction can protect your iPhone in style. 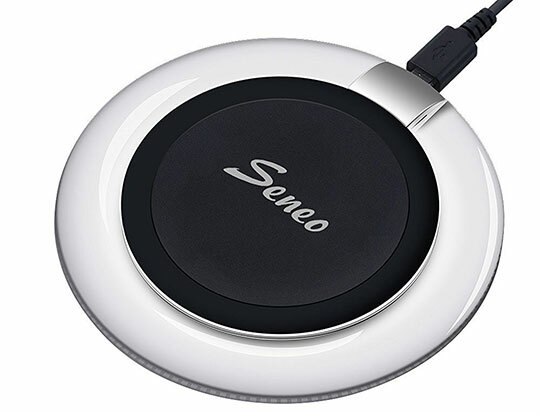 If safety is your priority when it comes to choosing a wireless charging device, then this sleek and lightweight charging pad is worth considering. 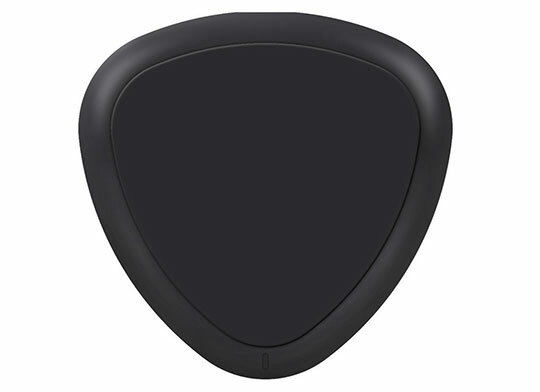 It features a chip that protects the pad against overheating, overvoltage, under voltage, and short circuit, making it perfect for home and nighttime charging. It also has smart breathing LED indicators that instantly dim or switch off depending on the darkness of the room, so you don’t have to worry about being distracted at night while your phone is powering up. QiStone+ can charge both in wireless and standard wired modes (via a USB port), so you can save time charging two devices simultaneously. 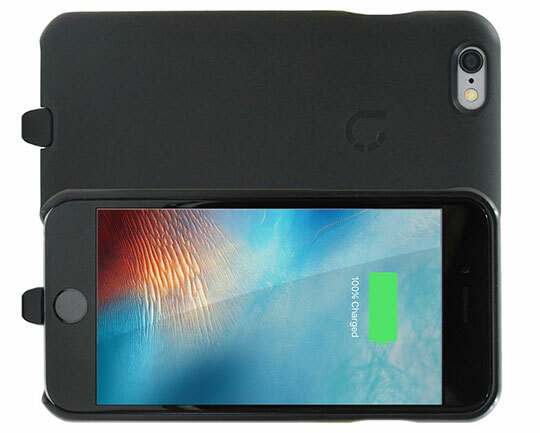 It has four padded bottom stoppers that keep the charger in place and your phone from dropping. It’s impressive 4000 mAh internal battery can help keep your phone powered all day. As for the charger itself, you can recharge it using any Qi wireless charging pad. This wireless charger is the best choice when it comes to style, design, and portability. 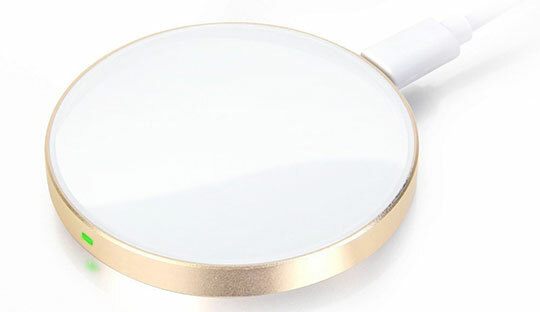 It’s made of lightweight yet high-strength aluminum and a scratch-proof, top-quality acrylic glass surface that adds an elegant touch to the wireless charger. It’s smaller than a beverage coaster, so it’s very easy to carry around. Besides, it has an anti-slip rubber rim at the bottom to keep both the charger and phone securely in place. This wireless charging device may look like a simple computer mouse, but don’t be deceived by its looks. With an impressive power output of 12 volts, it charges faster than the average wireless charger. 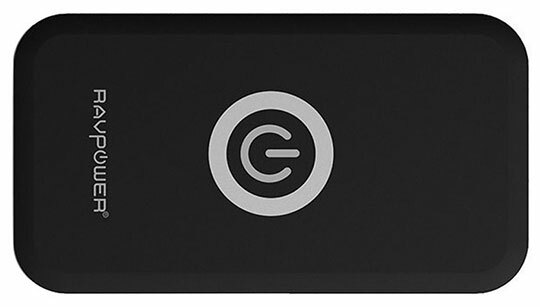 This Qi-compatible plate (which means it can charge Qi-enabled phones) is powerful enough to charge your phone even when the case is on. It also has an anti-slip ring on top, so you don’t have to worry about your phone slipping from the pad. Style and functionality are what you can expect from this super thin and lightweight device. Simply roll it with its micro USB cord and toss it quickly in your bag, and then whip it out for wireless charging anytime and anywhere. It can still charge your phone even when the case is on, so there’s no need to go through the trouble of taking your phone’s case off. With a power output of 5 volts, this wireless charging device may charge more slowly than others, but don’t count it out just yet. Its standout feature is its sturdy built. It is made of plastic, and so your phone is less likely to move while it’s charging. 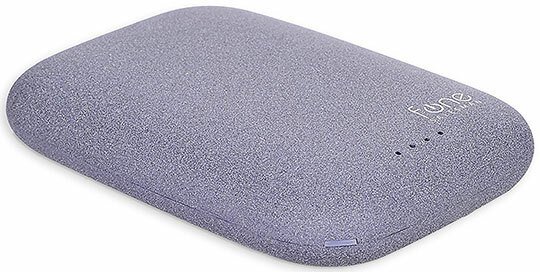 This Qi-compatible pad has four padded bottom stoppers that keep the unit safely in place. If you prefer durability over portability, then this is the ideal wireless charger for you. 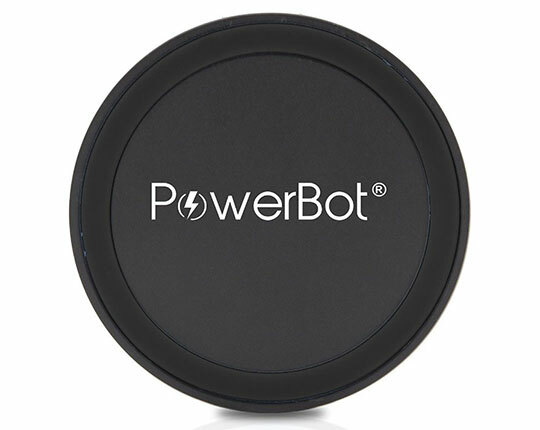 Perfect for frequent travelers, this easy-to-use wireless charging device is both portable and durable. It also sports a minimalist design with its large matte black surface. 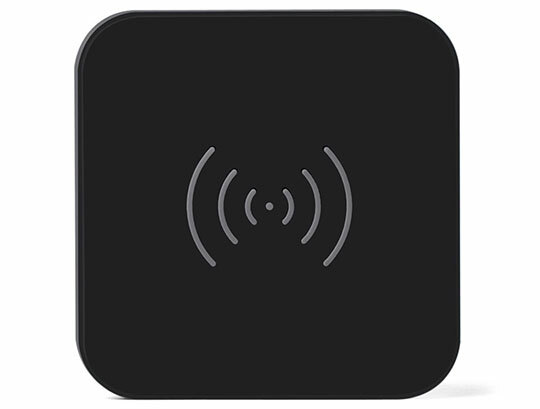 Visual appeal meets practicality in this ultra-portable and lightweight wireless charger. It has a rubber ring surface to keep your smartphone firmly in place while it’s charging, and a ring rubber stopper at the bottom for the charger itself. These top 10 wireless charging devices may differ in features, but all of them offer the same thing: convenience. I can recommend that you get a wireless charger that suits both your personality and lifestyle. This article is written by Shane Haumpton. She is a contributing writer for several websites and blogs. She has written on a variety of topics, ranging from lifestyle, photography, travel, and arts and crafts to gadgets, social media, and internet safety. This self-confessed coffee addict and shutterbug manages to do all these while enjoying life as a nomad. Stumbled upon this post and find the content interesting. It’s 2018 and this kind of technology hasn’t made an impact or buzz. Hope wireless charging becomes part of all devices.